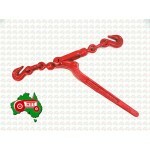 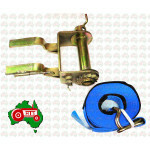 High Tensile Load Binder Will suit 6mm or 1/4" chain Load binders conform to AS/NZS 4344 ..
High Tensile Ratchet Load Binder Will suit 8mm(5/16") or 10mm(3/8") chain Ratchet Lo..
Tractor Tie Down Strap 50mm Width x 12M Length 2500kg Lashing Capacity For Ratchet Winch. 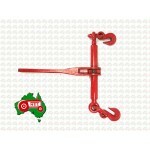 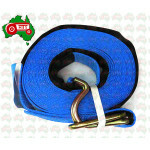 ..
Tractor Tie Down Strap 50mm Width x 9M Length 2500kg Lashing Capacity for Ratchet Winch . 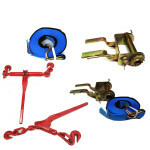 ..
Tractor Truck Winch and Tie Down Strap 9 Meters Long 2500kg Lashing Capacity Dimensions..